January has been a blur of exams, cold weather and the beginning of my final ever term at University. Christmas seems so long ago and in the time since the end of December I seem to have acquired quite a few favourites to share with you. Now you can tell that I have spent the time since my exams vegetating on the sofa or chilling in the cinema as the bulk of this list is films and TV. So I better get on with talking your ear off about them. 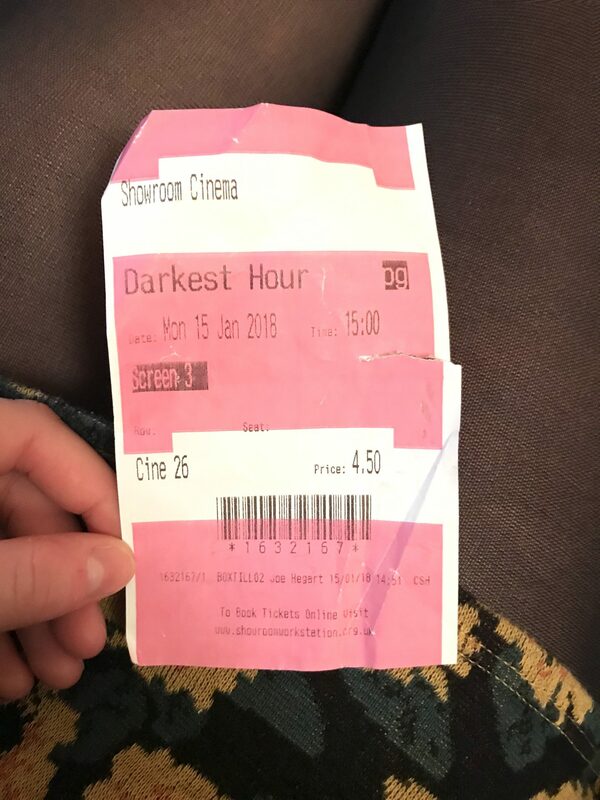 First up, Darkest Hour. If you haven’t been to see this you need to get yourself to the cinema immediately. If any of you don’t know, in this film Gary Oldman portrays Winston Churchill during the first few days and weeks of his term as Prime Minister around the time of Dunkirk. His performance is absolutely gripping and as a history nerd it was super interesting to learn more about that period of the war. Don’t be put off that it is set in war times because the film actually focusses more on the man himself, let me know if you have already seen it and what you thought! Next up is another film that’s still in the cinema, and to be honest you must have been living under a rock if you haven’t heard about this one. The Greatest Showman was so much fun to watch and I’ve been listening to the soundtrack ever since! It’s a feel-good film, with a bit of history and some great songs, I don’t really know what to say apart from go and see it!! Okay, it seems there’s a bit of a theme here…another historical film. This time a slightly older film that’s been around and received a lot of recognition when it hit the box office. Me, Danielle and Amy watched 12 Years a Slave one night this month and omg we were shook. It’s pretty long but you can see why it was nominated for so many awards. Again this film is all about the outstanding performances of the lead characters and at times it’s really heart wrenching but so interesting. If you’ve got a bit of time to spare or want to watch a highly acclaimed film then I really recommend this one! This is my final watchable favourite now I promise. Recently I’ve got into watching SAS Who Dares Wins and each week I can’t wait to see the next episode. The programme basically follows potential recruits for the SAS through the toughest stages of selections where the men face ‘beastings’ to see if they are tough enough. All I can say is this stuff is ruthless, they try and take those men to the absolute edge to see if they are tough enough to cope in the forces. The show focusses on mental and physical strengths and see’s how well the men can work as team. So far I’ve been really enjoying it so if you need something to watch on a Sunday night then catch up with this. You may remember I mentioned in a recent blog post that I wanted to cut down on my use of plastics as much as possible this year. 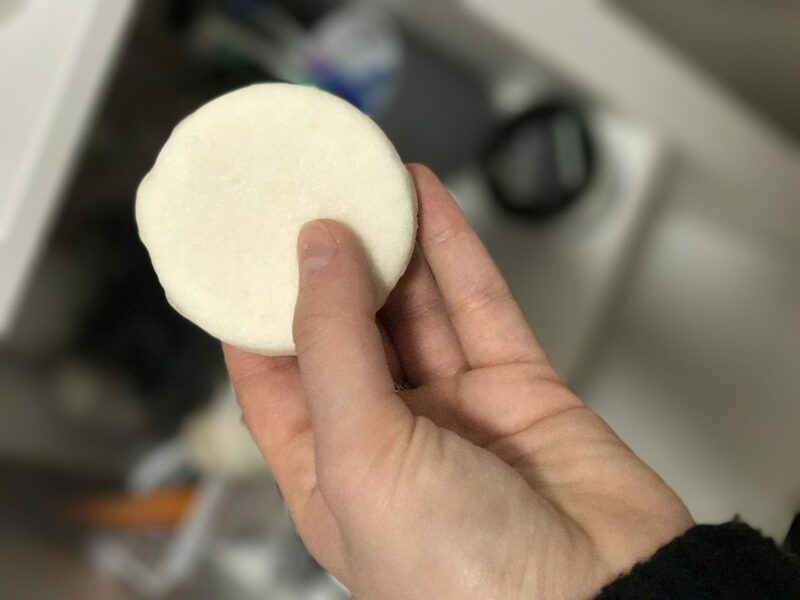 I’ve been trying my best to stick to that goal and have been using plenty of ‘Naked’ products from Lush, this month I’ve really been loving the Honey I Washed My Hair solid shampoo bar. This bar lasts as long as a bottle and is perfect for travel as it doesn’t count as a liquid! Not only does this smell amazing, but it also makes my hair feel silky soft and hydrated, which is exactly what I need at this time of year when the weather is so drying. If you pop into Lush you will see that there are plenty of different shampoo bars to choose from so if you speak to the staff they will be able to advise you which would suit your hair. I’m a little late to the party with this one but I held off from buying it when it first came out last year. 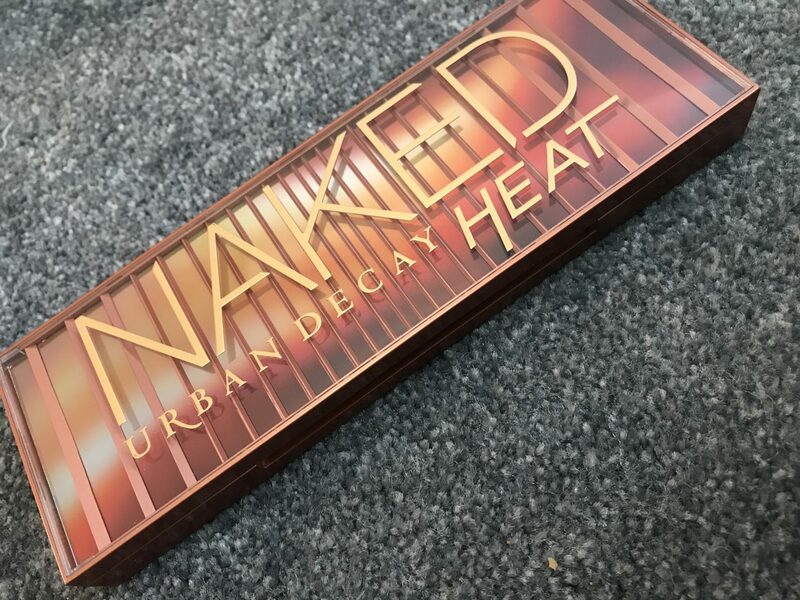 After trying to resist for many months, I was kindly gifted The Urban Decay Naked Heat Palette for Christmas. OMG this is everything I need in a palette and more, it’s all the perfect warm tones that I love to wear. It’s a great balance of mattes and shimmers so you can create looks for both day and night. I haven’t really worn anything else on my eyes since getting this and other people seem to like it too which is a bonus! The formula of these shadows is lovely, they blend really well and there isn’t too much product fall-out, which I do find is the case with other Naked Palettes. I’m a warm-toned gal through and through so this was always going to be up my street and I really don’t think I need any more eye-shadows now that I have this in my collection- so thanks Mum and Dad! My final favourite is excellent if you don’t like reading or you don’t have time to sit and watch a film or maybe you have a lot of spare or wasted time such as travelling to and from work? The Heart of It by Estee Lalonde is my favourite podcast at the moment. I can’t remember if i’ve mentioned this in a favourites before but even if I have I’m talking abut it again. It has a really relaxed vibe where she talks to many empowering guests and talks about topics ranging from tattoos and beauty to protest and motherhood. The episodes are free to download to your phone so you can listen if you have no wifi- perfect for plane journeys! So there you have it, my rather long winded favourites, if you’ve made it this far congratulations! Let me know what you’ve been loving this month and if you’ve tried or watched any of mine! Thanks for reading. Noooo this is the third post (in a row!!) 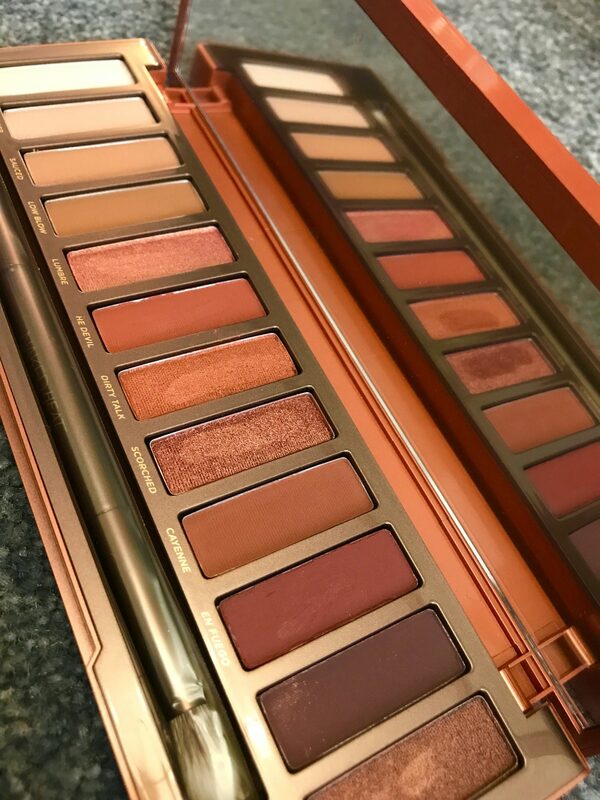 where I’ve seen the Naked Heat palette. I wanted it so bad and then decided to get the tartelette toasted palette. Maybe I’ll get it the next time there’s some sort of sale.